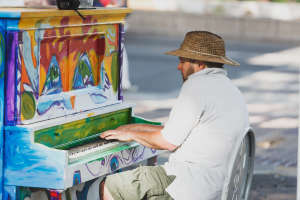 Family fun activities abound in and around Fort Collins. With over 300 days of sunshine a year, the &apos;Choice City&apos; is an incredible place to explore year round. 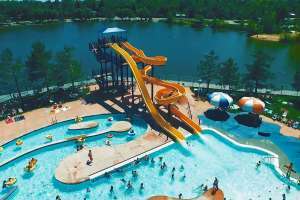 During the summer months we invite you to spend an afternoon in the City Park Pool, with its water features, slides, zero-depth entry, lazy river, and wading pool – all with the youngest swimmers in mind. If you’re at City Park on a summer weekend, grab a ride to Old Town on Car 21, the only original restored city streetcar operating in the western U.S. today. Take a trip back in time as Car 21 guides you through the heart of old Fort Collins along picturesque Mountain Avenue. The Farm at Lee Martinez Park introduces kids to agricultural heritage by letting them meet farm animals up close; ponies are available for rides in the summer. For an indoor, all-season swimming/skating sensation, drop in at EPIC –the Edora Pool and Ice Center – the city’s largest swimming facility that also houses two sheets of ice for open skates and amateur hockey league play. And, if you prefer skating on dry land, check out the city’s skate parks in Edora Park and Fossil Creek Park. Just watch out for the flying disks sailing around the disk golf courses. There’s a reason locals call our town Fort Fun. Then there’s the actual Fort Fun: the family amusement spot complete with mini golf, go-karts, laser tag, paddle boats, arcade games, and a full-service kitchen for refueling. Groups of all ages can enjoy Fort Fun. For indoor excitement, experience the incredible hands-on exhibits at the Fort Collins Museum of Discovery. The museum blends science, history and culture into an interactive and engaging museum that literally offers the best of all worlds! With hands-on exhibits, a 42-foot long plesiosaur, a state-of-the-art Digital Dome that immerses you into the action, and a nationally recognized interactive music experience that lets you create and play music, the Fort Collins Museum of Discovery is an experience not to be missed. Changing displays and special events year-round make learning fun at the museum. The Environmental Learning Center is a 212-acre nature preserve just minutes from downtown and includes nearly three miles of trails, four habitats, several ponds, and plant and animal life to explore. The injured birds of prey at the Rocky Mountain Raptor Center, located on East Vine Drive, welcome visitors interested in their rehabilitation and release. Fort Collins has no shortage of outdoor adventures to pack your day full of family-friendly adventures. Fishing is always a great past-time for a kid and Fort Collins has several bodies of water to offer a trophy fishing day with the kiddos. Dixon Reservoir just east of Horsetooth Reservoir is an excellent place to start, and nine times out of 10 you can hear the kids around the lake yelling about the fish they caught while the adults are still waiting for the bite. If you’re looking for a little more adventure, bring the fishing poles to the Poudre River during low run-off season (August-October) for some brown trout fishing. Horsetooth Reservoir is the perfect family destination for a hot day. A favorite way to explore the reservoir is on a Stand Up Paddle Board. With plenty of tucked away coves, you can paddle the kids around for hours. You can also rent boats at the Inlet Bay Marina and have a more fast-paced adventure on the water. If you’re looking to stay near shore, bring the kids to the Horsetooth Reservoir beach and swimming area. A family’s visit to Fort Collins is not complete without hopping on a bicycle. With over 285 miles of fairly flat lanes and trails, it’s the perfect activity for the entire family. Check out the bike share program Pace or join one of our fabulous guided tours, retailers, and outfitters. You’ll find everything you need on the Fort Collins Bike page. For those adrenaline junkies in the family, a whitewater rafting trip is a must do! With more than four outfitters in Fort Collins, whitewater rafting is a popular sport, and it’s something the entire family can enjoy. Agriculture is an important part of life and history in Fort Collins, and it’s also important that the future generations know about it. Fort Collins offers multiple farms that are fun for the kids and educational too. Bee Family Centennial Farm is a one-of-a-kind experience where you travel through the life of the Bee Family and their efforts to cultivate the land in Northern Colorado. The Farm at Lee Martinez offers a hands-on experience of farm life. Enjoy spending time with the animals including pony rides and hayrides. 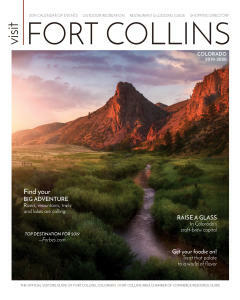 If you’re looking to explore the natural areas of Fort Collins and gain brain power as well, we encourage you to enjoy family-friendly natural area adventures and guided activities throughout the year. Don’t forget to pick up your Natural Areas Passport from the Downtown Information Center and try to visit all 50-plus areas! 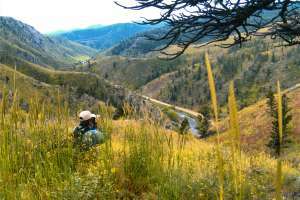 Whether you’re in Fort Collins for a weekend or two weeks, it’s nearly impossible to explore all of the trails, lakes, and streams in the surrounding foothills and mountains.